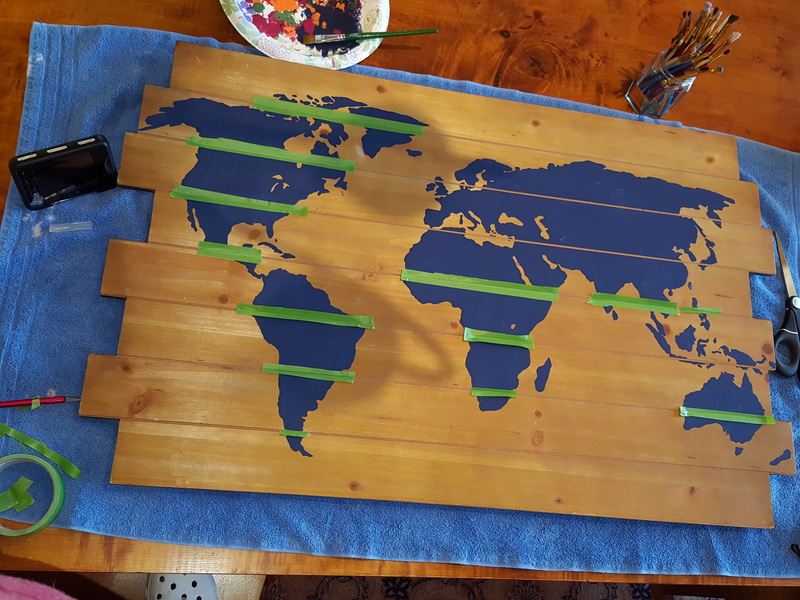 Working on a map of the world idea for AJ’s new room. The “Things That Go” theme has evolved to include “Oh The Places You’ll Go.” I like the direction this is going, so I’ve decided to expand on this. My wooden plank backdrop is about 2ft x 3ft. I have some vision on this piece so bare with me! So very sweet. With this piece, I hope to capture an element of the colorful world he lives in.